I have not been here in ages. The only thing I can recall of this place was its huge servings and equally huge prices. But with this visit, this was not the case at all. The portions were manageable and the food looked yummy even. But for the fact that there were just the two of us, I would have ordered more of the appetizers to try. It was probably a blessing in disguise. 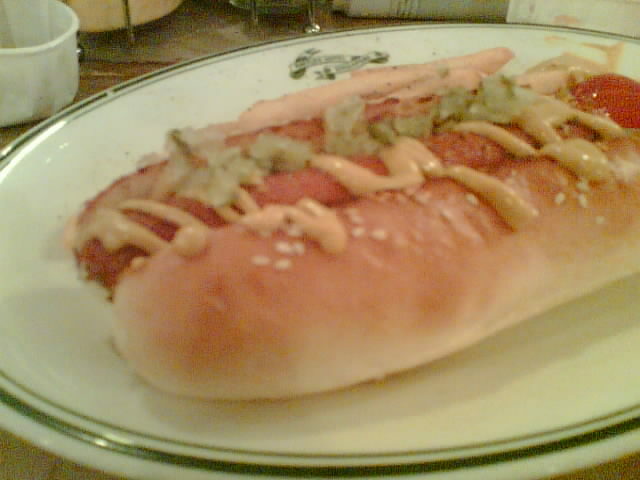 Our order of a burger with the works and the foot long hotdog was ordinary. If ever I have a craving, I would rather make my way to some of my other fav places for burgers: Sunset Grill, Brewerkz, Botak Jones.